Tired of constantly searching for creative ways to eat healthy meals that are also appetizing? Look no further for an answer to your health dieting needs – with our meal delivery in Los Angeles you may never have to cook a meal again. At Fresh n Lean, we have a Los Angeles food delivery plan just for you. Not only will you save time and energy, you will be ensuring your body gets the wholesome nutrition it needs every day with our breakfasts, lunches and dinners prepared with fresh, quality plant-placed ingredients. Get our healthy meals delivered fresh to your home in Los Angeles today. With our healthy vegan meals, eating delicious, balanced meals does not have to mean sacrificing convenience. If you are diabetic type 2, sensitive to gluten or looking for a way to shed those few extra pounds, Fresh n Lean’s Los Angeles meal delivery programs will work wonders for you. Not only are our meals always gluten free, they are free of GMOs, have a low glycemic index, and contain wholesome, hearty ingredients that will leave you feeling full and satisfied without craving diet-busting snack foods. LA food delivery is the solution for you if you crave a healthier, more convenient lifestyle. Enjoy delicious and freshly prepared meals delivered to your home anywhere in Los Angeles. Fatigue, bloating, headaches and joint pain are common ailments that affect more than 70% of Americans on a daily basis. But did you know that all of these can be eliminated and prevented by eating a healthy vegan diet? 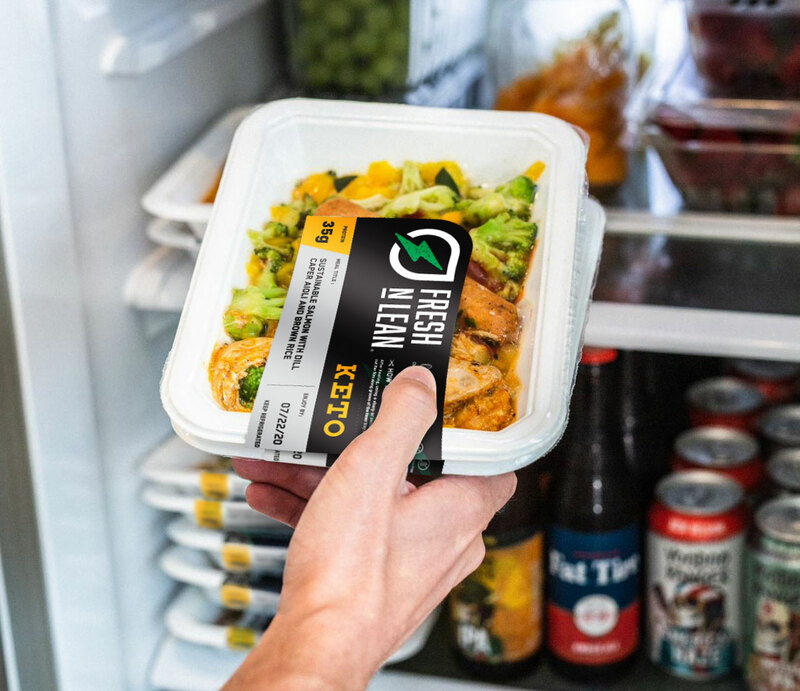 Our 100% plan-based meals are prepared and delivered fresh in Los Angeles and can help you get on track with your health and will be sure to boost your energy levels and reduce inflammation. Treating your body to a happy, healthy existence should be top priority! With our healthy meals you can now do just that.